Looking for a simple crowd-pleasing cake? 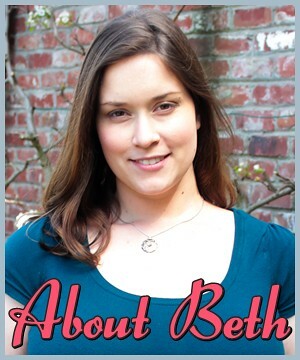 Have a gluten-free friend you’re entertaining? Try this rich Flourless Chocolate Cake from Martha Stewart! Brunch at a local restaurant. 2 mile walk to undo the effects of brunch. The dessert we chose had to be simple…because that’s how we roll. So Kristina found this recipe from Martha Stewart. Even though it was simple, it was SO good! 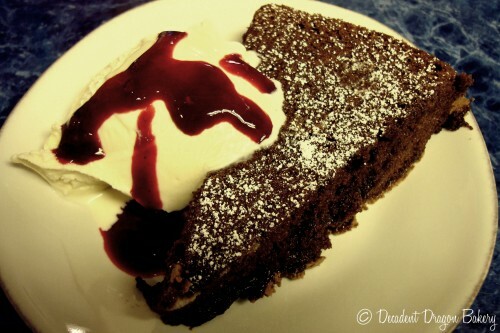 We each had a slice of this decadent chocolate cake with vanilla ice cream and raspberry sauce. See Original Recipe on Martha’s Site – ours includes weight measurements. Preheat your oven to 300F. Butter the bottom and sides (all the way up!) of a 9 or 10 inch springform pan. Put butter and chocolate into a microwave safe bowl. Microwave for 30 seconds at a time, then stir until melted. Be careful not to burn the chocolate. Let cool to lukewarm. While cooling, separate the eggs. Make sure that no yolk gets into your whites. Beat the yolks into the cooled chocolate mixture. Place your egg whites into the bowl of your stand mixer. Add a pinch of the sugar. Beat the whites on medium speed to soft peaks. Continue beating, and slowly add sugar. Beat until glossy stiff peaks form. 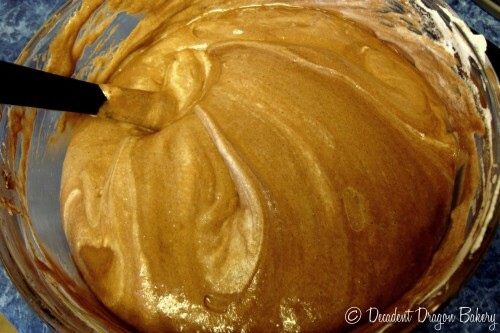 Add 1/4 of your whipped egg whites to the chocolate mixture. Mix it in with a spatula. Gently fold the remaining whites in 2 additions into the chocolate mixture. You want to mix until the batter is a single color but don’t overmix. Try to fold the whites in with as few, gentle strokes as possible to avoid deflating your batter. Place pan in the center of the oven and turn temperature down to 275F. 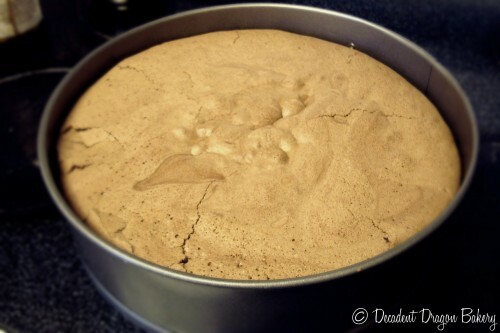 Bake until the cake pulls away from the sides of the pan and the center is set. This should take between 40 and 55 minutes. Cool on a wire rack. When cool, remove sides of pan. Serve with a dusting of powdered sugar, vanilla ice cream and raspberry coulis. Looks very, very tasty and very easy to make. Thanks for the weight measurements! This was so good! It’s the first flourless chocolate cake I’ve ever had that was actually LIGHT! Most of the ones I’ve had are choco-bricks. Just wanted to check if I use a 10″ springform pan, that the finished cake won’t be too thin. I don’t want it to look like a pancake! Yes, I think a 10″ round pan would work fine. Haven’t tried it myself, so can’t be sure. But I don’t think it will be a pancake. Good luck! Did you guys flip this cake over, why does it look so different after its been cooked compared to the final product? Yes, this cake got flipped over prior to serving. The crunchy part should definitely be on top. But if you accidently flip it over, it still tastes good!